A classy and classic affair. 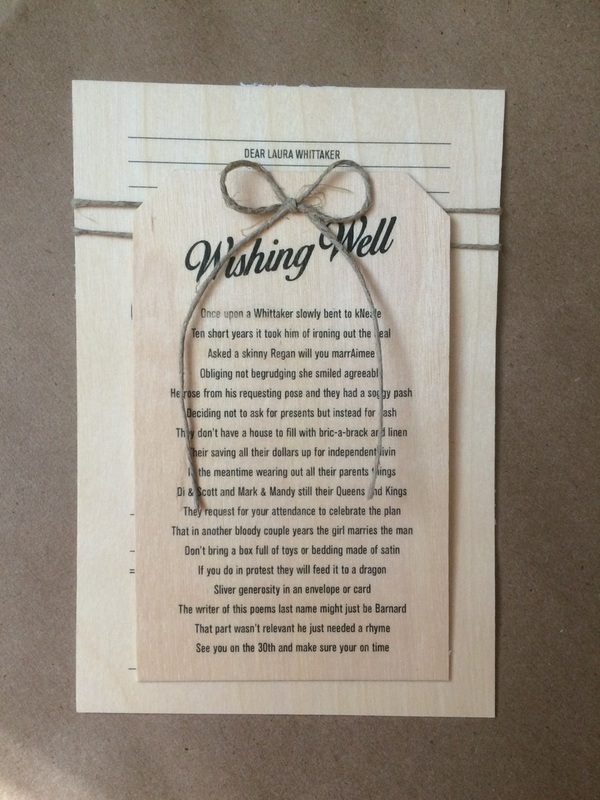 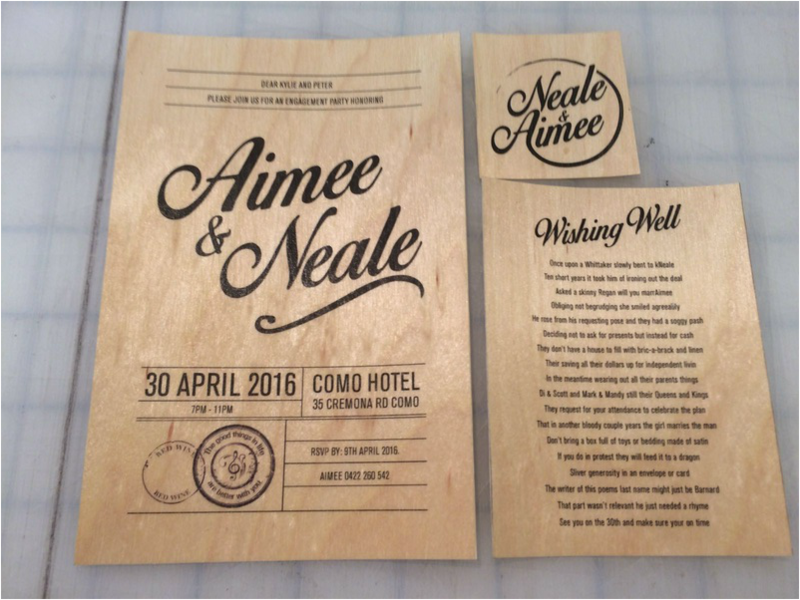 We designed the invites with the brief to link in the wooden theme. 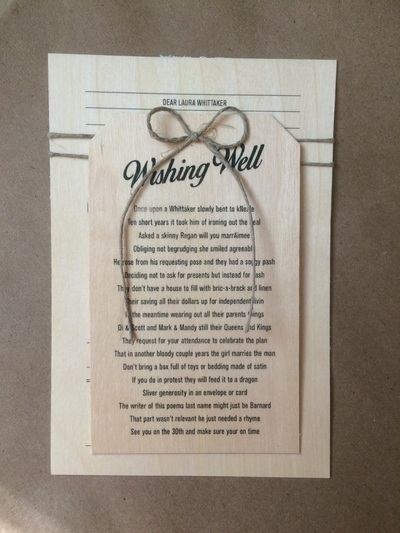 They were printed on a wood texture paper and tied with twine. We also designed their personal logo which can be used throughout the event decorations. 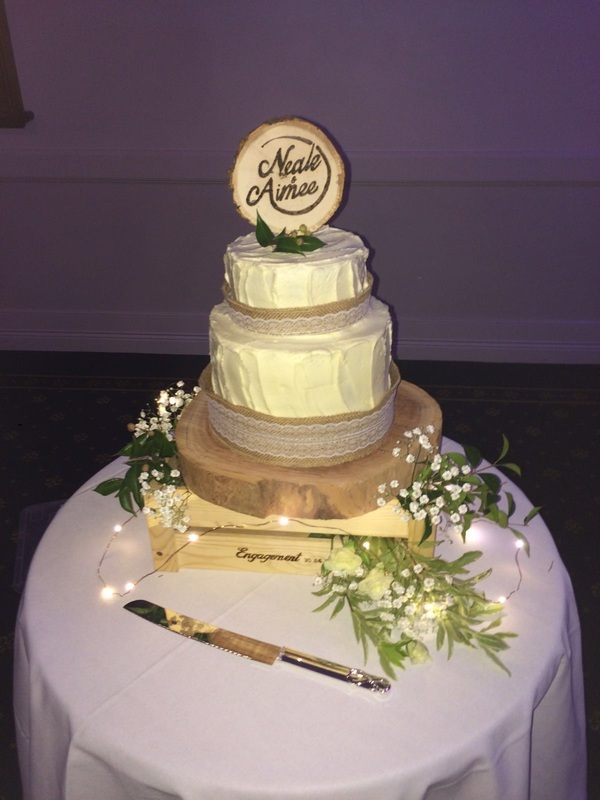 The logo was burnt into the wooden wishing well, cake topper and the words engagement also matched the invite font which we burnt onto a wooden create. 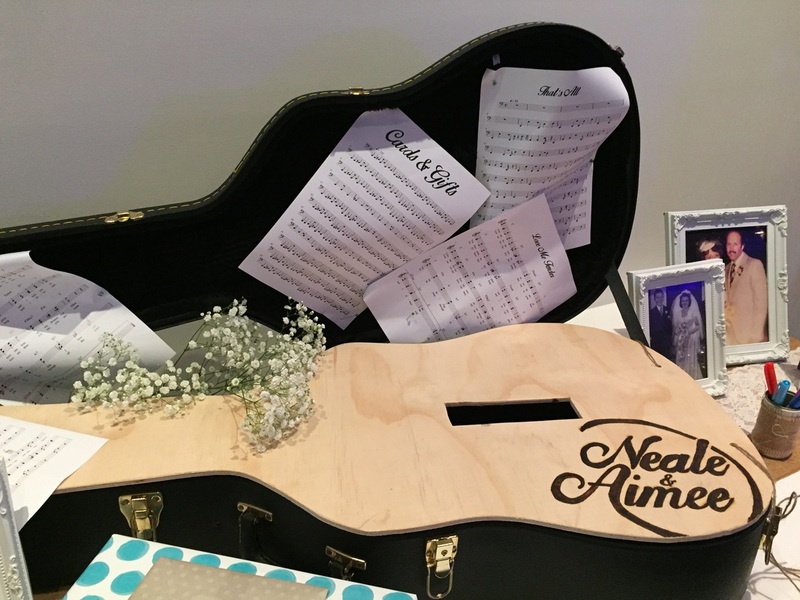 All these elements can be used again for the wedding to tie the theme all the way through their event.